Earn $4.07 in VIP credit (407 points)What's This? 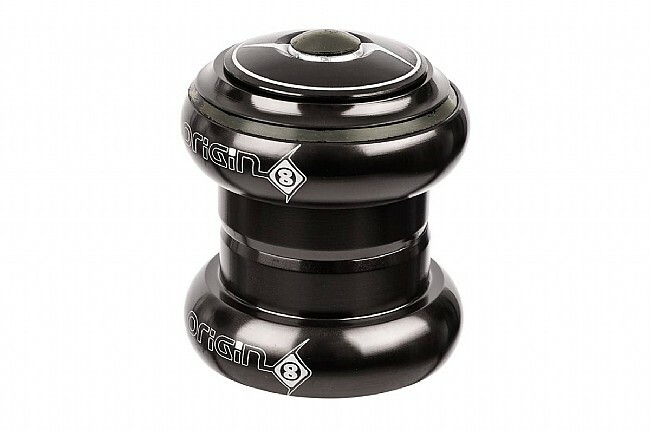 The Origin-8 Pro-Pulsion Torq-Lite Theadless Headset offers quality and style at an affordable price. CNC machined 7075 aluminum alloy cups and stainless steel sealed cartridge bearings provide precise, hassle-free performance with easy maintenance down the line. The Pro-Pulsion Torq-Lite Headset fits 1-1/8" threadless fork steerer tubes and features a 28.5mm stack height. Anodized finish with laser etched logos. Available colors: Black, Silver, Blue, Red, Green and Gold. 94g. I bought this for a commuter bike I built up a few months ago. I wanted something simple that didnt look flashy and would also not cost to much. I put about 120 miles a week on the bike and the headset hasnt had any issues. It turned out to be just what I wanted. I like how easy it is to install. These are a go to component for when i get a new bike and want to upgrade some of the parts on it.